In most California counties, each parcel of real estate has a single assessed value, and receives a single property tax bill, regardless of whether the property has one owner or ten. This means that co-owners must determine for themselves how to fairly allocate their property tax burden. Although many residential tenancy in common ownership groups are organized to emulate subdivisions by assigning each owner the exclusive right to occupy a particular apartment or house, they still involve co-ownership of a single, undivided parcel of real estate, and will receive only one tax bill in most counties. Equitably dividing this tax bill, efficiently collecting the payments from each owner, and avoiding underpayment or non-payment, are some of the most complex and difficult issues facing the TIC lawyer and the tenant in common owners. For those new to tenancy in common, it is tempting to assume that it would be fair to divide property tax among co-owners equally, or according to the owner’s respective percentages of ownership. This approach, while offering the advantage of simplicity, would have some owners paying more than their fair share of tax under California’s famous (or infamous, depending on one’s viewpoint) Proposition 13. That measure, passed by state voters in 1978, mandated that residential property be reassessed for property tax purposes only when it is transferred, and under very limited other circumstances. Routing reassessments based on increases and decreases in market values were eliminated. The result of this policy is that two neighbors living in identical homes will have dramatically different property tax allocations based on time and price of purchase. When TIC owners allocate property tax equally or by ownership percentage, they fail to create the linkage between purchase price and property tax that County Assessor’s must use under Prop 13. The absence of this price/tax linkage will cause some TIC owners to pay more property tax than they would if they bought a condo of single-family residence, while other co-owners reap a property tax savings windfall. To illustrate this TIC property tax allocation problem, imagine a four-unit property with two bigger, brighter and more valuable upper units, and two smaller and less-desirable lower units. Based on the unit disparities, the co-owners assigned the lower units each pay $300,000, and the co-owners assigned the upper units each pay $400,000. Based on Prop 13, the building is assessed at $1,400,000. An equal division of property tax would have the lower-unit owners each paying tax on $350,000, representing $50,000 more in taxable value than if they had bought a $300,000 condominium. By contrast, the upper-unit owners would also each pay tax on $350,000, representing $50,000 less in taxable value that if they had bought a $400,000 condominium. The unfairness of this result would not diminish if the co-owners happened to hold title to the property in equal 25% shares (as many do); the relationship between price paid and property tax liability would still be missing. In some tenants in common groups, ownership percentages are established based on purchase price, an arrangement that allows property tax allocation to be based upon ownership percentages while still maintaining the essential price/tax linkage. But the ownership-percentage-based tax allocation will only operate fairly until a co-owner sells, which will cause a reassessment of the property but will not change the ownership percentages. If the assessed value of the property increases based on the sale, but the TIC continues to allocate property tax based on ownership percentage, the non-selling owners will see their property tax increase from a resale that did not benefit them, while the new purchaser will pay less tax than if she bought a similarly priced condominium. For example, imagine that one of the lower-unit TIC shares described above resold for $500,000. The 25% ownership interest would be reassessed at $500,000, representing a $200,000 increase over its previously assessed value of $300,000. The assessed value of the unsold 75% of the property would be not change, but the total assessed value of the property would increase from $1,400,000 to $1,600,000. If the co-owners’ property tax allocation formula did not change, each of the non-selling owners would see a $50,000 increase in the property tax assessments, while the buyer would pay tax on $350,000 rather than on her $500,000 purchase price. The unfairness of a non-price-based property tax allocation is even more pronounced when the initial sale of the TIC interests occurs serially rather than all at once. To illustrate, assume that the 4-plex described above was assessed at $550,000 before any tenancy in common interests were sold. Rather than close all four TIC sales simultaneously, the owner decided to sell only the two upper-unit shares. The post-sale assessed value would be $1,075,000 representing the $800,000 combined sale price of the two 25% upper-unit shares, plus the pre-sale assessed value of the unsold 50% (50% of $550,000, or $275,000). An equal property tax allocation would have the seller paying tax on $537,500 even though her share was assessed at $275,000, while each buyer would pay tax on just over $268,750 even though an equally priced condo would have been taxed at $400,000. A purely price-based property tax allocation can also yield unfair results, because events other than sales can trigger reassessment. For example, certain improvements can trigger property tax increases. Often these improvements are made by a particular co-owner to her assigned home, and only benefit that one person both in terms of usage and potential resale value. A transfer that does not establish a price, such as a gift, can also trigger reassessment. To take these factors into consideration, a well-drafted tenants in common agreement allocates property tax based upon a “Property Tax Percentage”. Each owner’s Property Tax Percentage is determined by dividing her “Individual Property Tax Basis” by the “Total Property Tax Basis”. A co-owner’s Individual Property Tax Basis is based upon the amount paid for her interest, plus the amount (if any) by which the assessed value of the property has been increased as a direct consequence of a her individual improvements to the property, or by a non-sale transfer such as a gift. The Total Property Tax Basis is the sum of all the co-owners’ Individual Property Tax Bases. Creating a fair allocation of property tax only solves half of the property tax problem facing most TIC groups. The second part of the problem is ensuring that each co-owner pays her allocated share of the tax. The only effective way to ensure payment is to collect each owner’s full tax liability each month based on an internal calculation of tax owed, rather than to collect each co-owner’s share of tax following the arrival of a tax bill or reassessment notice. The problem with waiting is that many counties can take months or even years to process a reassessment and send the resulting tax billing, and the co-owner whose tax has increased may not have the funds or might no longer be in the group when the tax bill arrives. To illustrate this tax collection problem, let’s return to the example in which a 25% share of a 4-plex was purchased for $300,000 then resold for $500,000. Imagine that the buyer of the $500,000 share re-sold as a result of a job relocation after only eight months of ownership. The TIC owners, preferring to avoid paying money into its group account any sooner than was absolutely necessary, and imagining that the County might never get around to reassessing, bases its property tax collection on the most recent tax bill, rather than the anticipated reassessment. Six months after the $500,000 buyer resells, the TIC receives a supplemental tax bill covering the buyer’s brief period of ownership. When contacted, the short-term owner denies responsibility, and invites the group to sue her in Dubai (where she now lives) if they wish to collect. This potential collection mess can be easily avoided by readjusting tax collections immediately upon the occurrence of an event that is likely to trigger a reassessment. If there is a question about the amount of a potential tax increase, estimate on the high side, and refund any excess collection. Fortunately, the problem of TIC property tax allocation and collection is unlikely to be permanent. California state law recently mandated separate assessments for time-based co-ownership arrangements, and Sonoma County has already instituted a program under which unit-assignment TIC owners have separate assessments and separate property tax bills. San Francisco County’s tax collector rejected a similar plan last year, claiming first that it was impossible, then that it was illegal, and finally (when both of the first two points were shown to be categorically wrong) that the computer system could not handle separate billing. Instead, San Francisco opted for program under which the County Assessor would send a notice stating the Assessor’s opinion of each co-owner’s property tax share, an opinion that is often inaccurate and, in any event does not bind the co-owners or supersede their TIC Agreement. Still, as the number of TIC properties continues to increase, and other counties follow the lead of California state law, it will become increasingly common for each co-owner to receive her own tax bill. D. Andrew Sirkin is a recognized expert in fractional ownership and other co-ownership SirkinLaw APC was a pioneer in the area of tenants in common (TIC) arrangements involving occupancy rights assignments, which are often used as a substitute for subdividing a property when true subdivision is impossible or unduly expensive. In 1985, Andy Sirkin created the legal and transactional structure which has become the industry standard for this type of TIC. Over the succeeding years, Andy’s innovations have included being the first state-approved real estate instructor for occupancy-based TICs, being the first to obtain state approval for a large-building TIC sale, being the first to convince institutional lenders to offer individual TIC financing, and being the first to develop the loan documents and lender underwriting guidelines for fractional TIC financing. 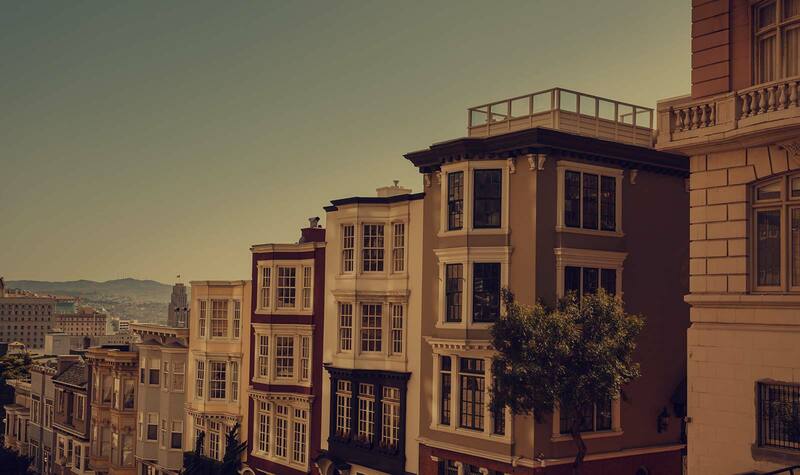 In recent years, the type of co-ownership arrangement Andy conceived nearly 25 years ago has grown to comprise approximately 1/3 of all attached-home sales in San Francisco.